"Granada was the only city that didn't rise against Somoza during the revolution," remarked my friend Arturo Cruz as we set out on a nighttime tour. "That's why most of it is still here." I could have had no better guide to the venerable colonial capital than this erudite scion of the local aristocracy who tirelessly led me up and down a grid of streets lined with colorwashed mansions and lively with passersby. In the 1950s, he explained, "social status was precisely determined by how close you lived to the Parque Central. Once, I could have bought a house four blocks away for forty thousand dollars, but my mother said it was too far out—‘no one lives there.' " The smart set worshipped at the beautiful church of La Merced, with its tower that served as the meeting place of Granada's famous Vanguardia poets, in the twenties and thirties—dedicated, as declared in their manifesto, to "artistic expressions, intellectual scandal, and aggressive criticism." 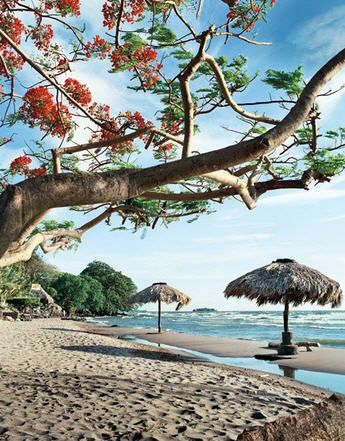 Eventually, we arrived at a particular stretch of gleaming sand that is ground zero for what the Pellas family, the country's richest, is betting will become the showcase for high-end Nicaraguan resort development. Guacalito de la Isla will feature beach houses (already in hot demand among affluent locals) along with a world-class golf course, hotel, spa, and beach club. Lloyd thought that this would be a tasteful contrast to San Juan del Sur. Despite having transited from French to Australian nationality—"I saw an ad that said, ‘Why not Australia?' "—he retained some Gallic traits. "How shall I say this?" he murmured. 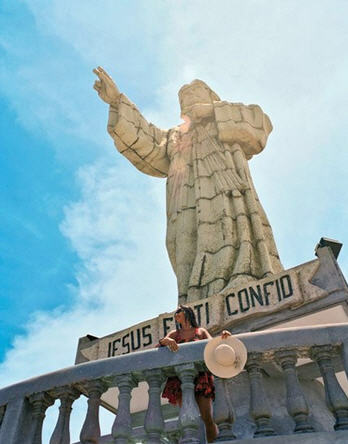 "San Juan del Sur does not attract the cream of the cream of Americans." 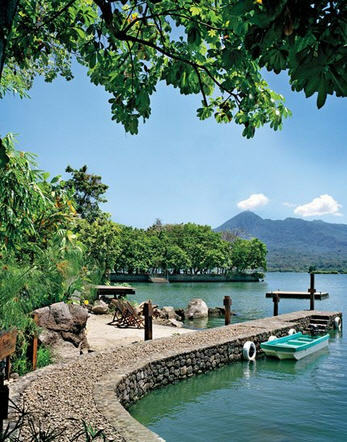 World Savers: Among the places Andrew Cockburn stayed at to report this story is Lake Nicaragua's Jicaro Island Ecolodge, operated by 2010 World Savers Award winner Cayuga Sustainable Hospitality and its only property outside Costa Rica. 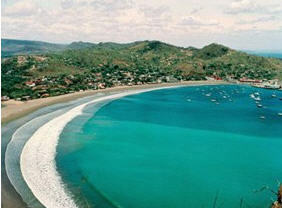 (In Costa Rica, the company manages Lapa Rios and Finca Rosa Blanca, among others.) Cayuga has vast ambitions to redefine upscale hospitality—aggressively conserving energy and water, working with suppliers to reduce packaging, supporting local farmers, building recycling centers. One ongoing challenge: eliminating plastic water bottles. "Why can't every company do this?" asks firebrand CEO Hans Pfister.